Driving gloves appeared in the 1890s when somebody got a brilliant idea that some pieces of clothing could be specially designed to provide a more comfortable driving experience. We can only imagine how hard was it to drive on an unpaved road without all these modern, and yet essential elements such as windshields and hardtops, not to mention the lack of a heating system. In their early stages of development, cars only had wooden and metal steering wheels which made them very uncomfortable during long rides. They served as an incredibly valuable accessory – they made people feel comfortable when driving, preventing terrible fingers frostbite. Furthermore, they were a symbol of high social status. If you could afford and maintain leather ones, you would be considered a member of the higher social classes. Things changed later on with the installation of heating systems, but they remained very popular. Actually, Steve McQueen and James Bond are to be blamed for making these a part of the mainstream. Thanks to them, driving gloves remained a symbol of a modern driver for a long time. Even today, they remain a stylish and popular driving accessory. They come in many different designs, keeping your fingers warm during winter and cool during hot summer days. Whether you want to have them because they allow for a more comfortable grip on the steering wheel, or because they are a stylish accessory, you want the best pair that you can find. Luckily, there are many reliable brands on the market that offer a wide range of glove designs. We wanted to help you with the tiresome searching process, so we made a list of 10 best we could find on the market. Hopefully, it will help you pick a perfect pair! The Elma name is synonymous with elegance and premium quality. They are by far the most popular driving accessory on the market. Featuring different colors and inner linings, these are perfect for driving during cold winter days. There would be no more freezing fingers and an unpleasant feeling when holding a cold steering wheel because this product will keep you warm and stylish. These are made of first-class materials. The manufacturer offers many different lining options to suit your every need. There is a cashmere-lined model designed to provide a comfortable feeling when driving as well as two models with fleece and wool lining to keep your fingers warm during winter. While it’s always good to have different models to chose from, you might struggle a bit with finding the perfect match in this case because not every color is available with every lining. Also, please note that these are not a perfect choice for high temperatures because of all that lining. As we already mentioned above, these are made of high-quality materials that will make you feel comfy in any situation. While the inner materials are soft and warm, the leather exterior is supple and elegant. You’ll get this pair in the luxuriously wrapped box which you can use later on for storage. Lastly, you don’t need to take them off if you want to quickly check your phone – the material is conductive on the tips so you can use the touchscreen effortlessly. We were quite surprised finding out that these are incredibly well priced. Considering the quality of the used materials and the elegant look, they are a real steal! Therefore, if you need a classy option to complement your driving accessories, this product from Elma is a perfect choice for you. This option from Pratt and Hart is collecting all users’ praises and compliments. This pair is one of the most popular models on the market, offering exceptional quality for the money. Pratt and Hart offer a long-lasting product that will make driving more comfortable. Not to mention that this pair is very stylish, so other drivers will definitely admire your new driving accessory! The Pratt and Hart are made of genuine leather, and they come in classy black and brown colors. They have knuckle holes as well as perforations on the fingers which makes them very breathable. You’ll find them especially useful during hot summer days, when our palms tend to get sweaty on the steering wheel, making the entire ride very uncomfortable. 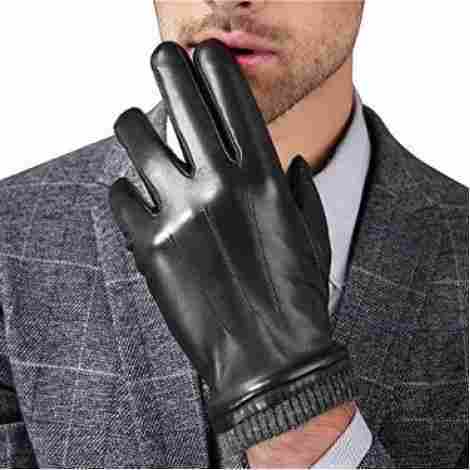 A good pair of leather gloves should fix that problem! Also, they are unlined which means that they won’t restrict your movements and you won’t lose the touch sensitivity because of the rigid materials. Featuring an elastic wrist wrap, these provide a snug fit and stylish look. They are made of quality materials that are soft and flexible enough to give you a comfortable feeling in any situation. They provide a full motion of your fingers, so you can drive, write or type effortlessly (we don’t recommend doing all these activities at the same time though). However, some customers had problems with picking the perfect size from the available chart. It seems that these sometimes come in odd sizes, and they can turn out smaller than you expect. We advise you to take the measures carefully, and if you end up between two sizes, you should consider purchasing a bigger size than needed. This option from Pratt and Hart is probably one of the cheapest options on the market. They are made of first-class materials which make them cozy, fashionable, and durable. On top of all that, these come at an attractive price that will make you love them even more! Here we have another highly popular pair that offers excellent quality. Warmen features a modern leather construction that you can use in many situations. They allow you to firmly hold the steering wheel and feel comfortable during long rides and cold days. Besides, a beautifully-appointed exterior makes them a perfect solution for special occasions! Winter mornings are especially cruel on drivers who need to get up early and drive miles to work. The car gets icy-cold during the night, and by the time we start the engine and get heating system to work, our fingers have already turned to stone. That’s why every driver needs a good pair of warm gloves and Warmen’s models are a perfect choice for cold situations. They come with cashmere and fleece inner lining. A double-layer material will keep your fingers from freezing on the cold steering wheel. They also feature a touch point control so you’ll be able to use your phone even with these on. Lastly, don't forget that these are not the best option for high temperatures. If you want a breathable option to wear during spring or summer, you should search for another option. Warmen’s products are soft and supple, providing a perfect fit and a comfy feeling. They come in several different colors such as dark brown, navy blue, black, and vibrant red. Not to mention that they come well wrapped in a luxurious box. The only issue we had with these is an inadequate sizing. They are smaller than we expected from the size chart. You should probably get a bigger size if you’re not sure which pair to chose, but don’t get too concerned about it. It’s not that hard to pick the perfect ones and people often don’t have major problems with finding a perfect fit. If you’re searching for quality leather style that will look classy in every situation, search no further! This option from Warman is a versatile accessory that’s incredibly well-priced. They match the quality of sky-priced products, providing excellent value for the money. These are hand made by professional artisans. They are made of first-class materials that should withstand many years of use. This is a perfect choice for those who want a stylish and comfortable leather option in their driving equipment. Keep reading if you want to find out more about this incredible product, because they have a lot to offer in terms of fashion and quality. As we stated above, these are made of high-quality materials. They feature a 100% Italian Nappa leather that will provide a comfortable feeling and good looks in every situation. You can wear these regardless of the weather. They are lined enough to keep your fingers from freezing yet not too warm to make your palms uncomfortable sweaty on hotter days. We especially liked the fact that these have a knitted cuff to keep your wrist warm. It’s just unbelievable how much cold air can enter when we wear a loose glove! Kindly reminder: These are not the best choice for extremely low temperatures. If you want something to keep your hands warm at -40 degrees, you should search for regular winter styles. They come in elegant black and brown colors, wrapped in the luxury box. They are soft and flexible yet wear resistant. Overall, they should last for years, providing a comfortable feeling during every ride. When it comes to other features, it’s important to mention that these are touchscreen compatible. You’ll be able to handle your phone effortlessly thanks to the revolutionary nanotechnology that imitates the properties of the human skin. Lastly, we shouldn’t forget to mention that these are designed for both genders, and every model is equally well made. The only thing that bothered some users is a free space between the fingertips and the material. It makes using a touchscreen a bit harder and it can get pretty annoying. You’ll be pleased to know that this thoughtfully made and classy option is also popularly priced. You can easily make them a part of your driving equipment, ensuring a comfortable ride at any weather situation! If you’re searching for fashionable and quality option to keep your hands warm during long winter rides, Warmen is a perfect choice for you! We already had an excellent pair from the same manufacturer earlier on our list, and now we can present to you a similar model designed for men. Follow our in-depth review if you want to find more about this high-quality and stylish option! 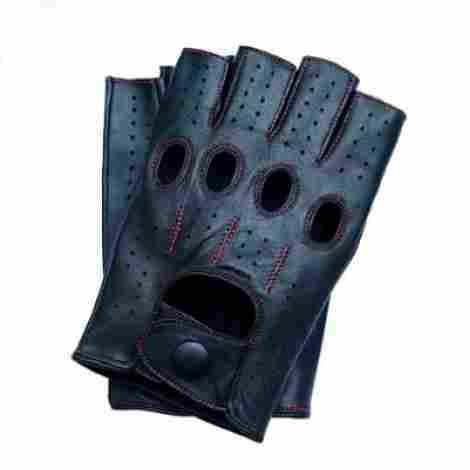 These Warmen gloves are made of high-quality Nappa leather that ensures durability and comfort. If you need a light pair for mild weather, you can go for a model with fleece lining. On the other hand, if you’re extra sensitive to the cold, the other pair made from cashmere and wool would be a perfect choice. Both models have stylish cuffs made from cashmere and wool that should prevent cold air to reach your hands under the material. 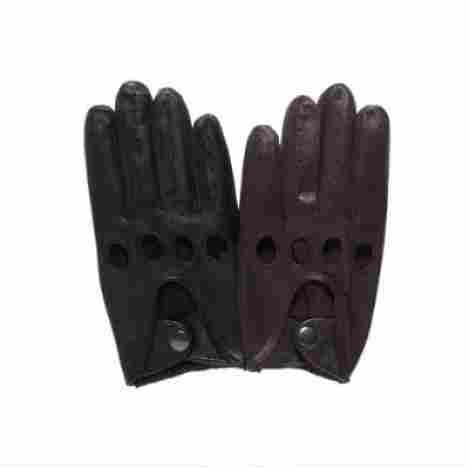 Overall, these are carefully designed to keep your hands warm at any temperature. These are not only super soft on the inside but also very fashionable on the outside! They come in brown, saddle brown, and black color. Just be sure to take the measures correctly from the provided chart. Some people complained about these being too small, so if you’re in between two sizes consider buying a smaller one, they’ll probably fit you perfectly. Also, you can use your phone while wearing these although some customers complained about them not working properly after some time of use. Customers are praising these all over the internet because of the value that they provide for the money. Once again Warmen offers excellent quality at a bargain! Here we have another excellent pair from Elma, and it’s specially designed for women. These are very popular among women due to their excellent quality and comfort. The modern look also plays its part in the popularity, of course. Elma’s products are synonymous with grace and elegance! These are made from high-quality Italian leather. They are designed to provide a cozy ride, allowing you to comfortably hold the steering wheel for a long time. Not to mention that you'll feel the benefits of soft and warm inner part every time you put them on. You can even effortlessly use your phone when wearing them. The only drawback with these is the fact that they are not suitable for hot days although biker girls will be able to use it until the very start of the summer. This option is available in 7 different colors! Yes, you read it right. You can pick a perfectly colored pair from 7 elegantly designed models such as burgundy, saddle yellow, violet, dark navy, and more. They are all equally comfortable and classy. You’ll also get a luxury box for storage as well as a thin bag that is very convenient for storing them in a drawer during the summer. Keep in mind that these are quite long, they’ll cover your wrists and go up under the sleeves of your jacket. That should be a problem for those who like to wear a lot of things on their wrists. This product is not as cheap as some of the previously reviewed models, but they are worth every penny. Considering the overall value and the classy look, you should go for these if you have some extra cash to spend. The Riparo Motorsports gloves are one of the most popular fingerless options. They are made of high-quality materials, and they offer a stylish look. Although they are advertised for bikers, they are still a great option for those who want to have a better grip on the steering wheel. Anyway, you’ll need a breathable pair for summer, and Riparo provides just what you need! These are made from genuine leather. They are comfortable, and they have holes in the knuckles that provide better ventilation. The perforated leather also helps in keeping your hands cool during long rides. Our palms often get sweaty when steering for a long time, and these are an excellent solution to the problem! We should only address one possible issue with the materials of this product. It seems that some users had problems with them coloring their hands. You can solve this by rinsing them out in cold water and letting them dry completely after the process, but we get why this is a big issue for many users. Riparo offers superior comfort and style with this pair. They are available in 10 different colors such as red, white, pink, gray, black, brown, blue, and others – each one of them is uniquely fashionable. You can even match them to your other driving accessories and clothes. The snaps on these are the only thing that we didn't like about their design. They are covered in leather, which looks very nice but it makes them difficult to open and close. One of the reasons why these are so popular is definitely an attractive price. They are an excellent choice for all drivers who want a fashionable fingerless style as a piece of their driving equipment! The Rivbos are advertised for cycling and are meant to provide protection during various sports activities, but you can use them for driving too. Many people don’t like leather styles and they want to achieve the sporty look in every situation. That’s why Rivbos made these versatile so that you can use for any sport and driving activity! These are made of sturdy materials (polyurethane and polyester) which means that they are meant to last. 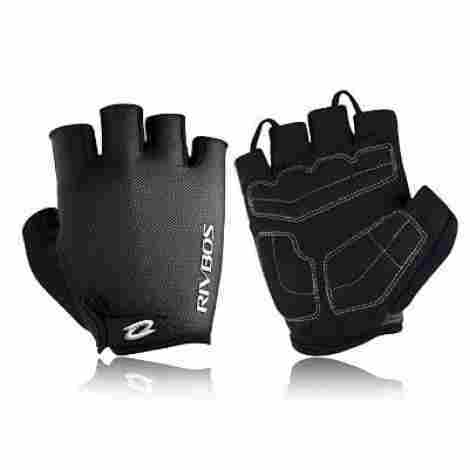 They are firm enough to protect your hands from injuries during riding, driving, or other physical activities. The Rivbos are breathable and lightweight, so they’ll prevent palms sweating and uncomfortable grips whether you’re steering or riding a bike. However, keep in mind that these could turn out smaller than expected and consider buying a bigger size. When it comes to durability and style, this item has outstanding results. We already mentioned that they have breathable materials that can absorb sweat and dry in a few moments. That way, you’ll be able to perform your favorite activities without any discomfort. They also feature a wear-resistant material, which makes them more durable. They are also extra cushioned in order to prevent possible blisters and calluses. We especially liked the velcro straps that keep them close to the hands. However, we should mention that many users complained about the padded inner part which seems to be too thin to prevent possible injuries in the case of fall. This sporty option is probably the cheapest on the market! They are comfy and fashionable, and they provide excellent value for many years of use. Overall, you should be fully satisfied with the purchase, especially considering that you’re getting a versatile pair. Another excellent product comes from Riparo, just this time we have a full-finger style instead of fingerless ones! Once again Riparo offers high-quality products to suit your every driving need. They come in many colors and different designs, allowing you to pick a perfect pair to match your other driving clothes. This full-finger option has holes on the knuckles that will keep your hands cool at high temperatures. The holes and perforations on the fingers should prevent palm sweating during extended driving. 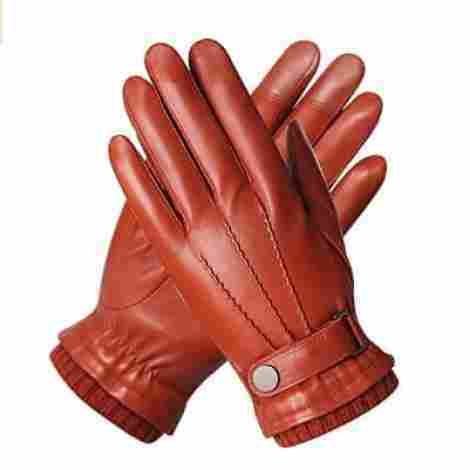 Also, they are made of thin genuine leather that will make your hands look natural while you're wearing them. The genuine leather should also provide a tight fit, but there were some users that complained about inadequate sizes. Make sure to measure your hands as stated in the size chart, and maybe go for a bigger size. Riparo continues to produce comfortable and stylish options that come in many sizes and colors. You can choose a perfect pair of these from 12 available colors – all of them are unique in their own way. Overall, users are very satisfied with the design of this item. The only thing that they didn't like about it is the fact that they stretch over time, but that’s the thing with almost any pair. Riparo really surprised us with this valuable and well-priced option. We didn’t expect that such a high-quality pair would come at an attractive price. Those who are on a limited budget are going to love these! If you’re not a fan of leather styles and you don’t want a fingerless option because you need to keep your fingers warm at low temperatures, you might want to stick to a regular thermal style. HiCool is an excellent choice for all those who prefer fabric over leather and want to be fully protected against the cold weather! These are made of lycra fabric that will keep you warm whether you’re driving, running, cycling or performing any other physical activity. Their elastic material allows a perfect fit yet it allows free movement. We especially liked an anti-slip design of the palm and a wear-resistant formula which provides a firm grip. The touchscreen on your phone will also recognize this type of material so you’ll be able to use it regularly with these on. Additionally, the material is breathable enough to prevent any discomfort at extended use. This product offer a minimalistic and elegant look, coming in three subtle colors – blue, gray, and black. Some users are not satisfied with the choice of colors, and we have to admit that it should be nice to have more options and vibrant colors. Other than that, we don’t have any complaints about the design. They are not as classy as leather styles, but that couldn’t be expected considering they are thermal and specially designed to keep you warm at harsh weather conditions. This choice is definitely among the cheapest options on the market. They’ll keep you warm, comfortable and stylish while still being easy on your pocketbook! First and foremost, we had to make sure that all products on our list are made of quality materials. Not only that quality materials influence the overall fashionable look of every pair but they ensure durability and prevent tears that often happen due to daily use. Also, quality materials provide more warmth to your hands during winter, or a pleasant cool feeling at high temperatures, depending on which type you chose. Therefore, making sure that all options on our list feature high-quality materials was crucial as well as ranking them according to their overall quality. When it comes to clothes and fashion accessories, one of the most important things is a comfortable feeling they provide. Sure, you want to have classy options that will contribute to your elegant style, but you also want to feel comfortable while wearing them. That’s why we looked for soft ones that will make you feel cozy when steering. After all, providing a comfortable grip is the main purpose of this product. Most options come in classic brown and black color, which is nice because you can match them to almost any piece of clothing. However, it’s always good to have more options. Some people want more vibrant colors, or they want a specific color to match their jacket, scarf or other accessories. That’s why you should have several options from which you can choose a perfect product for your needs. Besides, let’s not forget that they could be a bit tricky when it comes to choosing a perfect size. There’s usually a size chart that you can use to measure your hands accurately, but some options don’t come in adequate sizes. We had to think about all these factors that determine whether you’ll find a perfect pair or not. Last but not least, we had to think about the value that every product on our list provides for the money. Whether they are cheap or expensive, it’s important that they fulfill their purpose. They have to provide a comfortable feeling and prevent freezing or sweating during extended use as well as to be stylish and quality enough to justify the price. That’s why we compared the cost and value of every pair on our list. It might seem like choosing the right option is a simple task, but things are way more complicated. You can’t just go for the first pair that looks fashionable. There are some additional things that you should take into account before you make a purchase. Even if you have already set eyes on the perfect pair, you might want to think about it one more time. It will take just a few moments, but it could influence your final decision. Make sure to measure your hands accurately. Take into account that some models could turn out smaller or bigger than you expect. You could solve this issue by following customers’ reviews, or you could follow our tips and recommendations for every model. Either way, you can always go for a smaller or bigger size if you’re in between. Also, you should think about the size that would fit you perfectly considering your hand structure and size. 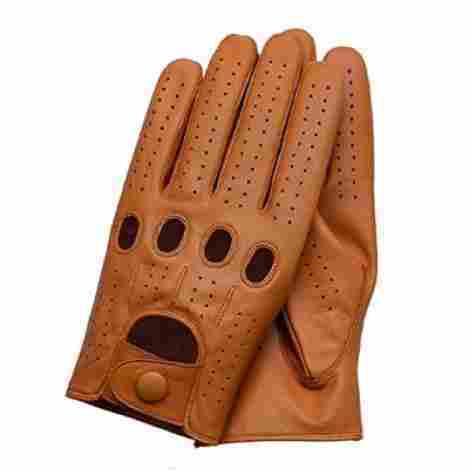 Do you need lined ones to protect your hands from freezing at winter, or you need a thin leather style for a comfortable grip on the steering wheel? Maybe you want perfect stylish option for motorcycling? These products come in a variety of models, and they are not all designed to suit every situation. Therefore, you should first determine which type you need. From this point, you can decide whether you need fingerless or full-finger gloves, breathable models with holes on knuckles or you don’t need holes at all. The choice is all yours! Lastly, your decision also depends on your budget limitations. There are great expensive options on the market from which you can definitely benefit if you have some extra cash, but there are also budget-friendly options with similar features. You don’t have to spend a fortune to get a quality product, so consider buying a pair for the current season and purpose. A: If you’re between two sizes and you’re not sure which one to get, go for the smaller one. This product type tends to stretch a bit after the first use, so even if they are tight in the beginning they’ll not stay that way for long. However, you could read some customers reviews and recommendations for additional peace of mind. Some come smaller or larger than expected, depending on the model. You can also follow our tips and recommendations stated above because we made sure to comment on the size of every pair on our list. Q: Do I really need these? A: While these are definitely not a necessity, you can really benefit from wearing them. For example, they can provide a better grip on the steering wheel and make you feel more comfortable during long rides. Not to mention that they will keep you safe from freezing when you have to cross that distance from your house to the vehicle at very low temperatures. Waiting for a car heating system to start working also feels like an eternity when you don’t have your gloves on. Anyway, they are a useful accessory – you don’t have to wear them, but you’ll certainly adore them once you try them out. Q: How should I clean my leather ones? A: While cleaning leather could be a bit tricky, it’s not a difficult task that demands a lot of your time. For example, if your driving accessories need a quick spot cleaning, you can use some mild soap to gently rub the stain off. The other thing you could try out is to run them through cold water. It’s a simple process – put them on, hold your hands under the running water, and rub them gently with some mild soap. Don’t use iron or fan to dry leather, though! Put them on a towel so they can air dry at room temperature. Also, you may want to wear them a few times before they dry out completely because it could help them form to your hands.